Emma Cashman, 12, is another of the 11 GoalKeepers. 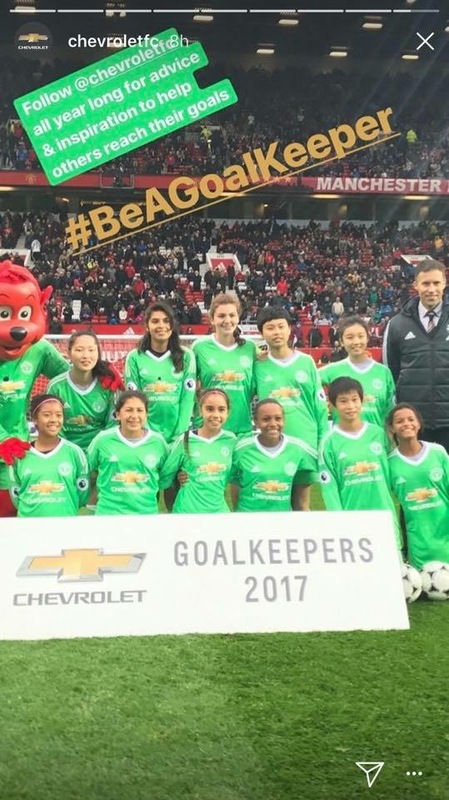 The El Cajon girl, who plays for the Oranje Voetbal Club, said the trip allowed her to bond with the other girls through a series of goal-setting and achieving workshops. The future interior designer who loves to watch “Fixer Upper” and “Property Brothers” said they also got to train at the Manchester United training facility with the team. 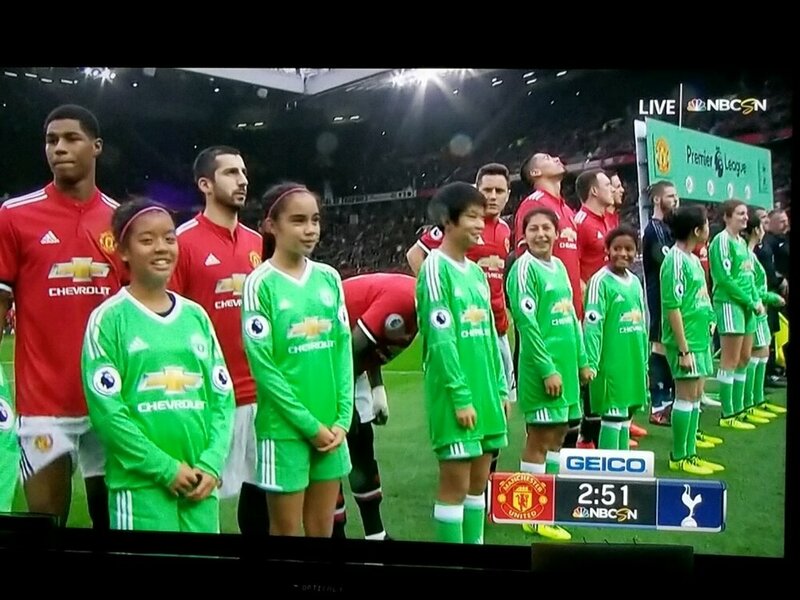 She said her favorite highlight was being able to walk on the field with them during the pre-match festivities, with each player wearing a jersey with the name of one of the GoalKeepers emblazoned on the back. Henrikh Mkhitaryan, a midfielder for Manchester United, donned Emma’s name. Over the next eight months, Emma said she is excited to work with her mentor, Ven Lai, who is a creative designer at Chevrolet. “I want to learn more tips about interior design, and she used to be a fashion designer and worked for Gap and a bunch of other really big businesses, so she is definitely experienced in the whole thing,” Emma said. Both Emma and Arianna’s mothers said that they see the experience as giving them a “leg up” over their peers toward achieving their goals. And even if they don’t go into their current fields of interest, both parents said they are hopeful the skills they learn will translate to other fields later in life.